Rapleys have submitted their plans for the BAN2 Site. I wonder if they will be giving potential home owners free ear defenders. Most of the site will have a constant 60db background noise. The Development Area East and West of Southam Road at Hardwick Farm is a sustainable location for housing growth on the northern periphery of Banbury. The site is bounded to the east by the M40 and by a cemetery to the west. The design of the development will need to respect the landscape sensitivity of the site, especially to the west. The topography of the area rises to the north and the potential visual impact will need addressed. Careful consideration will be needed to the nearby heritage assets including Hardwick House, a listed building and an area of archaeological potential to the north of Noral Way (Hardwick deserted Medieval Village) in the creation of a high quality neighbourhood. 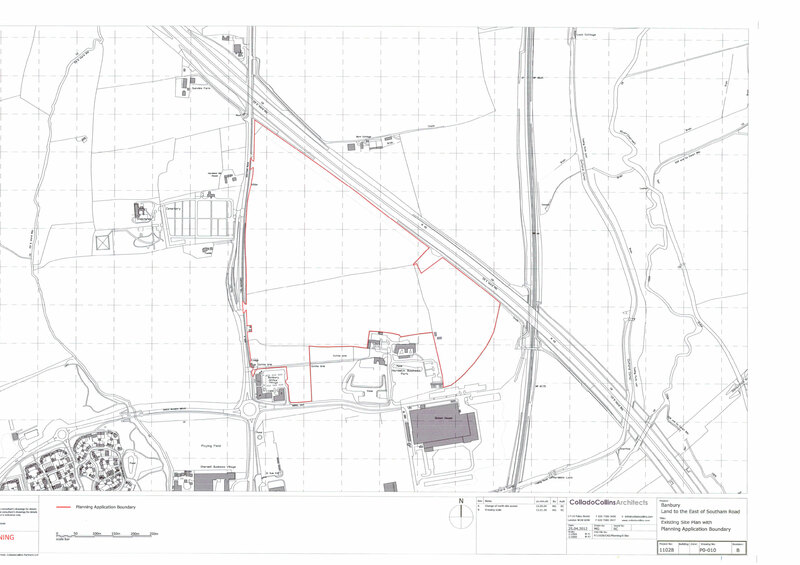 Development Description –The Development Area east and west of the Southam Road is located in a sustainable location, close to existing employment uses and north of Banbury town centre. 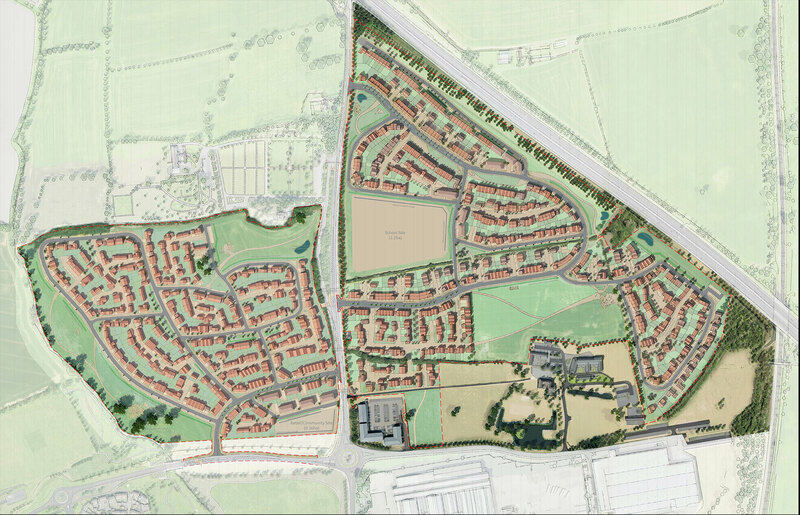 Residential development (of approximately 800 dwellings) will be permitted across the two areas, provided it can be demonstrated that high quality design has been applied to address the potential landscape/visual impact issues and that careful consideration has been given to minimise the impact on historic asset/ potential archaeological sensitivity of the sites. Open Space – to include general greenspace, play space, allotments and outdoor sports provision as outlined in Policy BSC12. Community facilities – there will be a requirement for on-site community facility if 400 or more dwellings are proposed. Development that respects the landscape setting with particular attention to the west of Southam Road- where the visual sensitivity is considered to be greater. Careful consideration should be given to address the topographical changes on the site to ensure minimal visual impact. Development that addresses the flood risk of the site, where a small part of the site to the far west is within Flood zone 2 and 3 (along the route of the brook -a tributary of the River Cherwell); built development close to the watercourse will not be permitted. A green buffer should be provided along the watercourse. Development that retains and enhances significant landscape features (e.g. hedgerows) which are or may be of ecological value; and where possible introduces new features (e.g. green buffer along the watercourse) to enhance existing wildlife corridors and therefore increase biodiversity in the area. Layout of development that enables a high degree of integration and connectivity between new and existing communities. A layout that maximises the potential for walkable neighbourhoods, with a legible hierarchy of routes and incorporates cycle routes to encourage sustainable modes of travel. 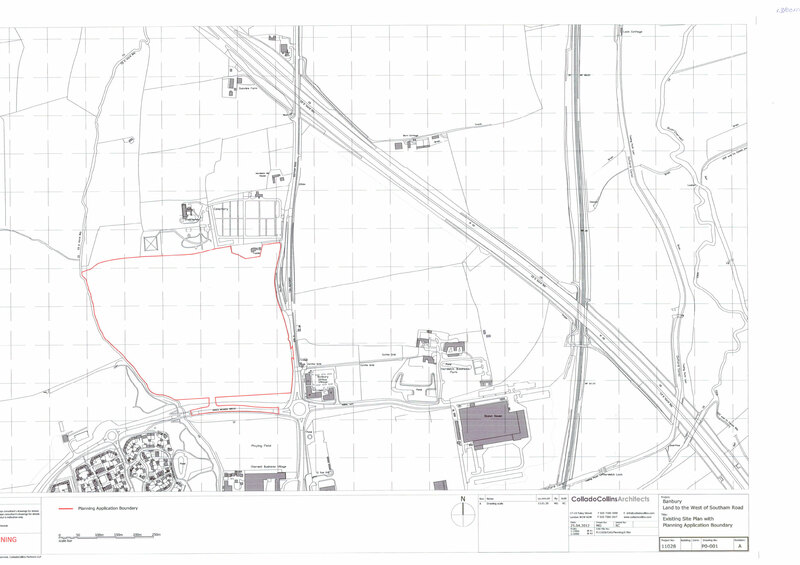 Development that considers and addresses any potential amenity issues which may arise including noise impact from the M40 (forming the north-east boundary), and any issues arising from the crematorium (to the north). The introduction of buffers/barriers/screening and the location of uses should be carefully considered to mitigate potential nuisances. Public open space to form a well connected network of green areas suitable for formal and informal recreation, with the opportunity to connect to the Banbury Country Park (Banbury 14). A well designed approach to the urban edge, which relates development at the periphery to its rural setting and affords good access to the countryside.